So Many Different Parks, So Many Choices! Recently, a friend planning a trip mentioned that the sheer size of Walt Disney World and trying to decide on which parks to visit was quite daunting. She is certainly not the only one to feel this way, and I think it is common for a first time visitor to either be overwhelmed, or to underestimate the magnitude that is Walt Disney World. When planning such an elaborate and expensive vacation, you want to be able to get the most for your money. To do that at Walt Disney World, I think you really need to have an understanding of each park and allocate enough time to enjoy and appreciate it. A lot of folks find themselves confused right from the start when they are planning what they think is a trip to Disneyland. Disneyland, in fact, is in California. Disneyland Resort is composed of Disneyland park, and Disney's California Adventure. If you are traveling to Florida, you are traveling to Walt Disney World Resort. Walt Disney World Resort is vast in size, and is in fact larger than the island of Manhattan! The resort is composed of four theme parks, Magic Kingdom, Epcot (known when I was a kid as EPCOT Center), Disney's Hollywood Studios (originally Disney's MGM Studios), and Disney's Animal Kingdom. Downtown Disney is a shopping and dining area located within the resort, but it is not a theme park, and it does not require a park ticket. There are also two water parks, Typhoon Lagoon, and Blizzard Beach. These require a separate water park ticket. The Magic Kingdom is what many people think of and mean when they say Disney World, or Disneyland. The Magic Kingdom is the original theme park that opened at Walt Disney World in October of 1971, along with the Contemporary and Polynesian resorts. The Magic Kingdom is composed of the famous areas of Main Street USA, Tomorrowland, Fantasyland, Adventureland, Liberty Square, and Frontierland, all surrounding the famous Cinderella Castle. It is here that you will find the world famous attractions known as Space Mountain, It's a Small World, Peter Pan's Flight, the Mad Hatter's Teacups, Dumbo, the Jungle Cruise, and Pirates of the Caribbean. The Magic Kingdom is jam packed with a lot to do in a relatively small space, and has so very many things to do, that it is really difficult to see them all in one day. This is the one park that really should not be missed. 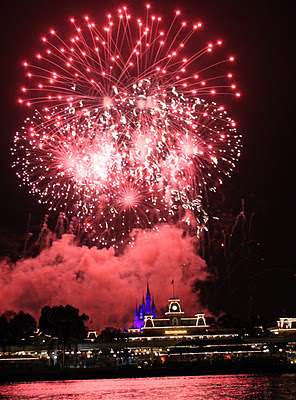 Magic Kingdom is usually the favorite of both adults and kids alike, with its vast array of shows, rides and attractions there is something for everyone, and most things are enjoyable to do more than once, especially for children who may never tire of riding a flying elephant. If you have multiple days to enjoy Walt Disney World, I would strongly recommend scheduling two days at Magic Kingdom. 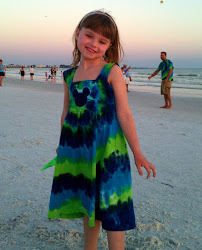 If your primary reason for visiting Walt Disney World is for the benefit of small or elementary school children, even if you have only 3 or 4 days at Walt Disney World I recommend skipping one of other parks in favor of spending 2 days at Magic Kingdom. Epcot was the second theme park to open at the Walt Disney World Resort in October of 1981. Epcot is often thought of to be a more adult oriented park, and in many ways it is more adult, but there are still many fun, kid oriented things to do here. In recent years, Disney has really tried to add more kid friendly attractions. If you are pulling your kids out of school for a trip, Epcot is a great place for your kids to do lots of hands-on learning. Epcot is composed of Future World and World Showcase. If it seems like two theme parks smashed together into one, that's because it kind of is! Originally they were plans for two different parks, and imagineers shoved two park models next to each other and decided it was a winner. Future World does have some headliners that have been added in recent years to draw in crowds looking for more rides. Test Track, Mission Space, and Soarin' are all rides that were not part of Epcot on opening day, and if you haven't been there since the mid 90's, they will be new to you too. They all have a height requirement though, so still not much in that aspect for the toddler set. Fun for all ages is available with lots of hands on activities and a few rides at Innoventions East and West, The Seas with Nemo and Friends, and the Imagination Pavilion. World Showcase is a bit slower paced, with mostly shopping, eating and entertaining shows. There are two slower paced boat rides in Mexico and Norway, neither of which has a height requirement. There is a very patriotic show in "The American Adventure", and 2 movies to see in France and Canada. This part of Epcot is decidedly more adult in nature. That said, my boys really enjoy it. The park itself is HUGE. It is often said EPCOT stands for "Every Person Comes Out Tired" as touring this park involves a lot of walking. If you have the time, you could most certainly spend more than one day at Epcot. Especially if your group consists of foodies, wine enthusiasts, or those that like to skip the rides in lieu of touring and shopping, consider spending more time at Epcot. If your goal is to just hit big rides and keep the kiddos happy, one day would suffice. If you are only visiting WDW for a few days with children, and must eliminate one park, this might be the one to skip. Originally opened as Disney's MGM Studios in 1989, the contract with MGM has since expired and this is now known as Disney's Hollywood Studios. This is not to be confused with Universal Studios. Universal Studios (where Harry Potter is located) is an entirely different movie company, has nothing to do with Disney, and is across town. Hollywood Studios was originally themed to the golden age of movies. When you walk in, you feel like you are walking down Hollywood Boulevard during the 1930's and 40's. At the end of the street is a replica of the famed Chinese Theater housing The Great Movie Ride. Now the view of theater is obscured by a giant Sorcerer Mickey hat, and the golden age of Hollywood is mixed in with one part Pixar, one part George Lucas, a couple of princesses and a dash of Aerosmith. Hollywood Studios can definite seen in one day. Opened in the spring on 1998, Disney's Animal Kingdom is one part theme park and one part elaborate zoo. While the actual number of rides and attractions may be less at this park, it really is a park to be leisurely enjoyed. While Magic Kingdom will always have my heart, I truly think the Imagineers did an outstanding job with the storytelling and theme of this park. If you want to escape to Asia or Africa on a tight budget, it doesn't get better than this. Every last detail of this park is done to perfection. The showcase ride of Animal Kingdom is Kilimanjaro Safari. You are loaded onto a seemingly decrepit safari truck and driven out to the savanna for a two week (okay, 20 minute) safari. While the big cats are cleverly contained, and pose no danger, you are usually unaware of their enclosure, and it really feels like you are out on the real savanna. The less dangerous animals can come right up to your truck, and I have had to actually wait for a rhino to get out of the road so our trip could continue! Also at Disney's Animal Kingdom are several walk though exhibits to view other animals such as giant bats, and our favorite, Bengal tigers. For ride junkies there is Expedition Everest, a backwards in the dark roller coaster not for the faint of heart, and Kali River Rapids a moderately tame rapid ride. For the family I recommend the Birds of Wonder show, Festival of the Lion King, and Finding Nemo the Musical for great entertainment. The latter two are also in air conditioning which is harder to find at Animal Kingdom than any other park. Animal Kingdom can be done in one day. You can even plan it for a part day, say opening till 4pm, leaving time in the evening to head to Downtown Disney, swim at your resort, or hit up another park in the evening if you have a park hopper pass. If you have plenty of time, it is not to be missed. If you only have a few days, you might want to decide between this and Hollywood Studios, depending on your family's interests and ages. So what parks should you visit and which to miss? This made it clear as mud right? My best advice is this: Go for a long trip. Don't try to squeeze Disney into 3 days. I think folks really want to visit, and in the interest of finances and lack of understanding of the enormous size of Disney, underestimate the time needed. If you are already spending a big chunk of money to travel down there, and this is going to be a once or twice in a lifetime trip, take an additional year to save your pennies and go for 6 to 7 days rather than a quick 3 night trip. A 6 night trip gives you time to relax at your resort, spend two days at Magic Kingdom and at least one day at each of the other three parks. You will be able to slow your pace and enjoy what each park has to offer instead of running though commando style with a checklist of rides. My baby girl is tuckered out. 2 days- consider spending both at Magic Kingdom, or if you have a Park Hopper Pass, one full and one half day at Magic Kingdom, and one morning at either Animal Kingdom or Hollywood Studios. 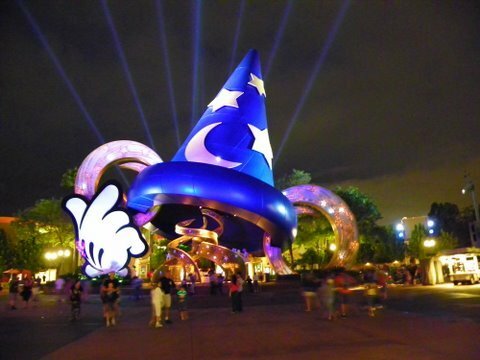 3 days- spend 2 days at Magic Kingdom, and one day at either Hollywood Studios or Animal Kingdom. 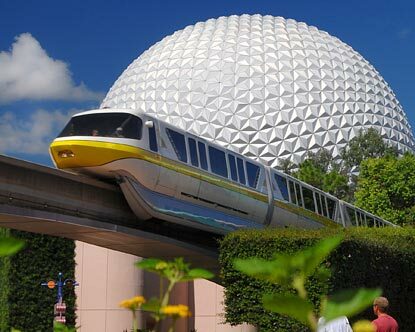 4 days- spend 2 at Magic Kingdom, and pick two of the three of Hollywood, Animal Kingdom or Epcot depending on interests. If you have Park Hopper Passes, you could do one full day at Magic Kingdom, Epcot and Hollywood, and on the fourth day you could do a half day at Animal Kingdom and then spend the second half of the day back at the Magic Kingdom. If you are only taking a short trip, try to be there when the parks open, and have a touring plan of what you want to see before you arrive, so you can make the most of your limited time. Do you have a park plan or strategy for making the most of your limited days in the parks? Leave a comment below to share your experience!